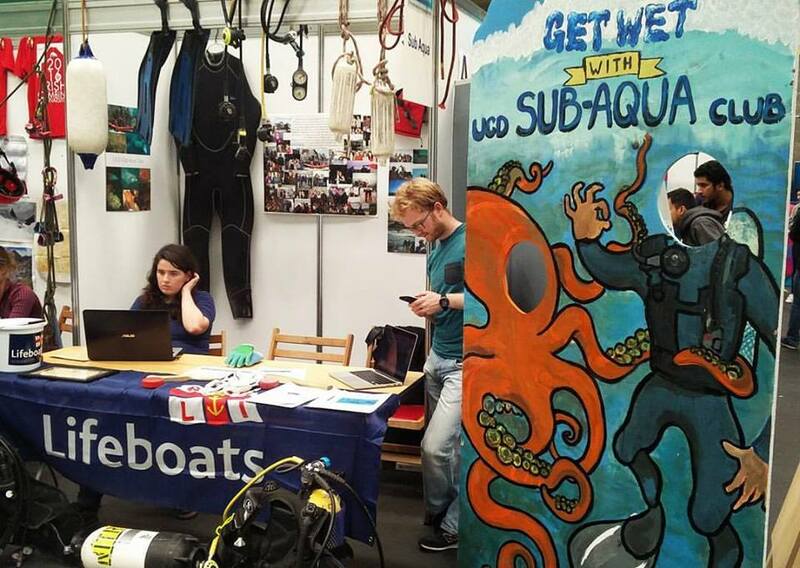 UCD Sub-Aqua Club is open to all UCD students, teachers and graduates. We are a friendly club and are always looking to welcome new members. We offer training in all aspects of diving and have an active calendar of events including regular Dublin Bay diving, snorkeling, dive weekends away, underwater hockey. Thinking about joining? Here’s how! Visit the expo and our helpful members will sign you up! At the start of each college year we set up shop in the sports center – come along to our stand and have a chat with our members. The UCD Sports Expo 2017 is taking place from the 18th -22nd September – hope to see you there! Missed the expo? No worries – send us a message all year around and we can send through all you need to do to become a member! It’s that simple.